This picture was taken from the bushes at the end of King Copper Motel Annex, looking east down the harbor. There had been a late afternoon rain shower, and just at sunset the sun broke through the clouds. 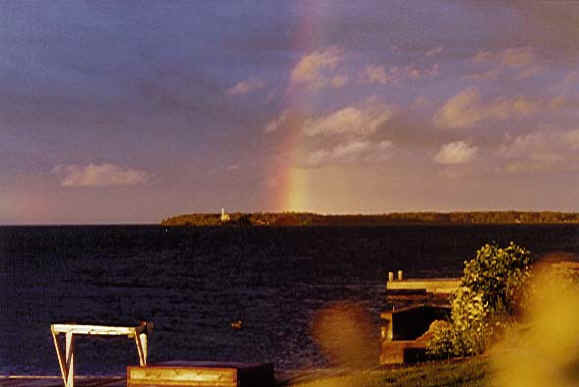 This was in June 1997, and it was repeated several times in June-July 1999, which led me to believe that Rainbow's End is in Copper Harbor. Rainbows here are brighter and longer-lasting than any I have seen elsewhere.